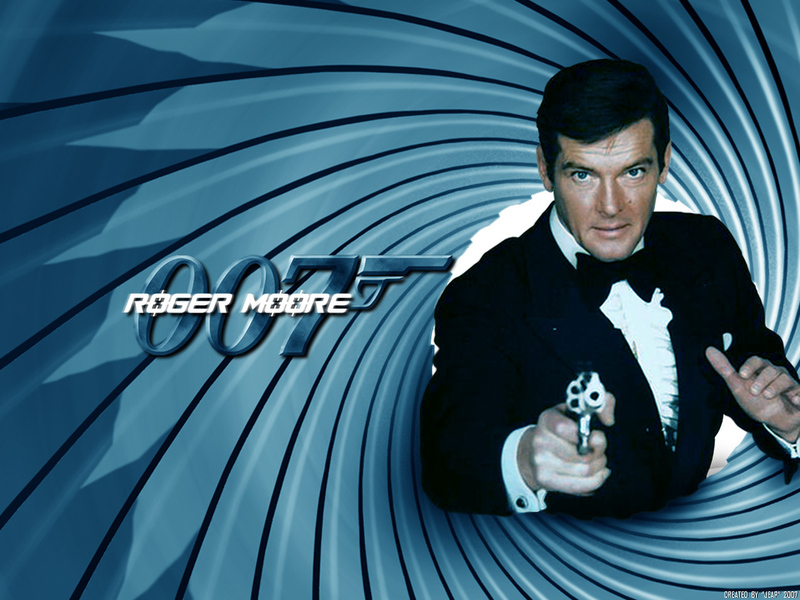 The smooth, sweet talking, suave British Secret Agent, played by Roger Moore was an integral part of my growing years. The news of his death yesterday evoked plenty of nostalgia for those defining years. I had something entirely different planned for this week, but upon the knowledge that one of my favourite actors, and unquestionably my most-liked 007 hero had kicked the bucket, I knew I just had to pay my own special tribute to him. Over the years, there has been plenty of debate and arguments over which of the actors who have played the exclusive Bond role did the most justice to it; with the fiercest battle being between Sean Connery and Roger Moore. Personally, I have never wavered in my belief that Moore it was who really knocked the iconic role out of the park. Now, this may have been due to some sentiment on my part, since he was the “reigning” James Bond in my childhood days, but beyond that, I have seen most of the other Bond movies played by the likes of Sean Connery, Timothy Dalton, Pierce Brosnan, and lately, Daniel Craig, (who are the most popular of the James Bond characters), and Roger Moore still wins this contest for me. All Moore’s installments of the 007 franchise were memorable. From his effortless knack for accomplishing his mission without breaking too much sweat, to his disarming charm and flirtatious ways, to his inimitable sense of humour. Moore never failed to keep us glued to the screen. “The Spy Who Loved Me” marked my personal induction into the world of Roger Moore’s Bond series; and long after A View To A Kill which was his last, I never watched any film of his that I ended up being disappointed with. He was the oldest to ever take up the coveted role of the fictional M16 agent in his mid forties, and was also the longest serving, with seven Bond movies under his belt before hanging up his boots over a decade later. His light-hearted, goofy, razor sharp wit, but calm representation of the relatable hero though criticized in some quarters brought some freshness and a surely different perspective to the 007 character. And for me that’s exactly what made him the best of the lot. There’s something to say for a man whose all round demeanour is unforced, a man who handles the most dire situations with the calmness of a cat. He was just a natural. His laid back, wry sense of humour provided the much needed balance to May day, Grace Jones’ mean, tomboyish character in a View To A Kill, while his smarts and suaveness ensured he outwitted the crass and uncouth Kananga in Live and Let Die, to the series of events that culminated in his outfoxing the villain, Scaramanga in The Man With The Golden Gun. Every single one of the seven feature James Bond films he played a protagonist in has me feeling nostalgic. Even as I write this, I have their catchy sound tracks playing in my head. Moore didn’t take himself too seriously, yet he delivered epic performances all the time. Beyond the box office, his devotion to humanitarian work which earned him a UNICEF Goodwill Ambassadorship and knighthood by the Queen of England are testaments to what manner of man he was. I felt a sense of loss when I got the news that he would no longer be featured as James Bond after A View To A Kill, and many years down the line I still understand why I felt that way. Not to discountenance the acting prowess of Moore’s Bond successors, but, the series has never really been the same for me after he left the scene. Apart from Sean Connery and Pierce Brosnan, frankly, the rest of the Bond actors have been quite forgettable, and I still haven’t connected with Daniel Craig’s blatant masculinity as a good fit for James Bond. Roger Moore was my one and only James Bond; in all of his sleekness and originality, and witty one-liners. It would take a while before anyone else comes close to what he represented for me. Yes o. Roger Moore is the man. Lolo… you poured MY thots on the Bond Franchise into this write up. My exact thots!!! Adieu Roger Moore! Glad to mirror your thoughts. Thanks Kev! The best of the lot if I may say…suave..charming..funny..and of cos a lady’s man..the ideal Bond, James Bond. Hehe! That would be quite a feat. Thank you lifeblitze.